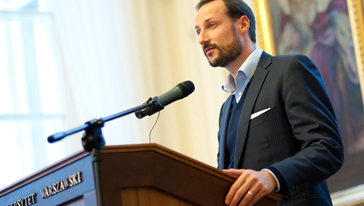 HRH Crown Prince Haakon of Norway, UNDP Goodwill Ambassador, offered the keynote lecture entitled “Dignity in Development: Our Common Responsibility to Reach the Millennium Development Goals”. 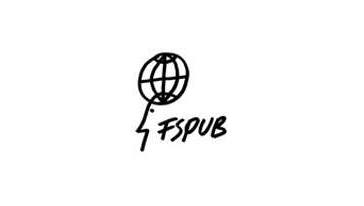 First, he presented a series of statistics related to word population and the distribution of income, which showed that the large majority of the world population is deeply poor, a fact that is damaging to both world economy and human dignity. The intervention continued with a brief introduction of the MDGs – what they are, when they were adopted and what is the current level of achieving them. To illustrate better what the human development means and how one may really relate to MDGs, he chose the child mortality rate statistics, identifying for the audience several examples and telling the story of Norway’s several generation efforts to reduce child mortality. The key to achieving goals such as MDGs, HRH told the audience, is to think about the persons in less favourable situations similarly as if they were persons one knows, not just statistics. The reason for following such goals, he continued, is to preserve “human dignity”, one of the few values that can have universal appeal. He concluded the lecture with several examples from his Goodwill Ambassador work, encouraging the audience to think about one definite goal each of them may and could achieve during the next year in order to improve his/her life and make the world a better place.